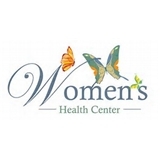 CV Women's Health (Solana Beach) - Book Appointment Online! This was my first time seeing Dr. Karen Lee. She was very polite and made me feel comfortable! She listened to any questions or concerns I had and addressed them accordingly.